change your habits. you can spend any amount of money on skin care products but if you aren't using them regularly, they aren't effective. change your habits. keep a bottle of lotion next to your bottles of soap at every sink. this will ensure you moisturize after washing every time. change your habits. rather than towel drying and moving on to the next task, take 30 seconds to moisturize once out of the shower. you have a window of three minutes (yes, only three!) before that moisture on your skin evaporates and you want to do all you can to lock it in. noticing a trend? honestly, changing your habits will have the biggest effect on you your skin quality. don't like to wait for lotion to absorb? 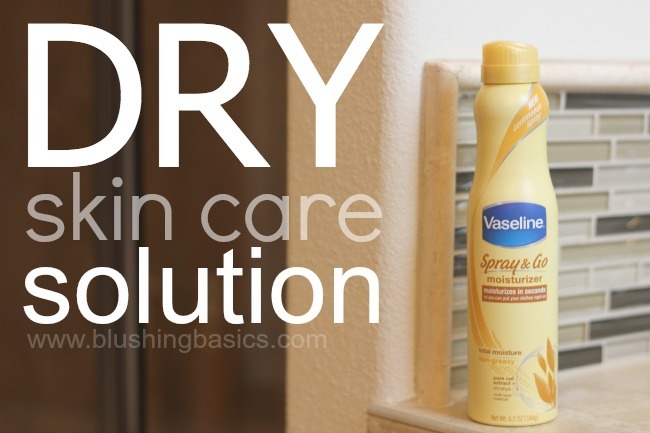 try this Vaseline Spray & Go moisturizer. it is a spray lotion that moisturizes and absorbs in seconds. it moisturizes deeply and leaves skin feeling instantly soft, not sticky or greasy. Vaseline Spray & Go will absorb in ten seconds, that is ten seconds you can't afford to lose. Vaseline is offering a #sprayitforward special giving you $2 off any Spray & Go product. refer a friend and you will get a second coupon for $2 off. that is a pretty steep discount on an affordable product. head to Facebook now to claim your code.